The extension of leases for leasehold properties is governed under section 197 of the National Land Code (Act 56 of 1965) pertaining to the applications for approval of surrender of the whole of the land, as well as the land rules of the various states. For the state of Selangor, the extension of lease is governed by the Selangor Land Rules 2003 and Selangor Quarry Rules 2003. To pay the full rate of premium for the lease extension. With this option, the owner can then dispose the property immediately after obtaining the new title. Currently the Selangor State Government is giving 30% rebate on the rate of premium under this option. Bear in mind that under Option 1, after the new title has come out, the owner would not be able to receive the rebate anymore should he or she later decide to sell the property on the open market, and would then have to pay the the full rate of premium. Some lawyers are charging a fee of RM1,000 to do the application for their clients regardless of option 1 or 2. If you wish to renew your lease for a residential property within the state of Selangor, the formula for the calculation of the rate of premium is as stated below. The formula is derived from Section 7 entitled ‘Premium’ of the Selangor Land Rules 2003 & Selangor Quarry Rules 2003. Leases are usually renewed so that there are 99 years of lease on the title. Therefore, if you have 10 years remaining on your lease, you need only pay for an extension of 89 years (99 years-10 years). After deducting the 30% rebate, the fee payable would be RM 56,070. The calculation of the rate of premium as mentioned above is on the land itself and does not include the building erected on the land. Under Option no. 1 and no. 2, there is a further RM500 to be paid as contribution to the state’s cemetery trust fund, Tabung Amanah Perkuburan. The fund will enable the State Government to buy land for cemeteries. 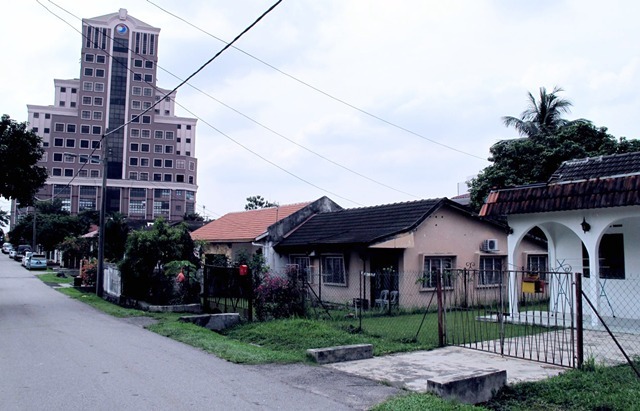 The process of lease extension involves the government department called ‘Pentadbir Tanah Daerah Petaling’.